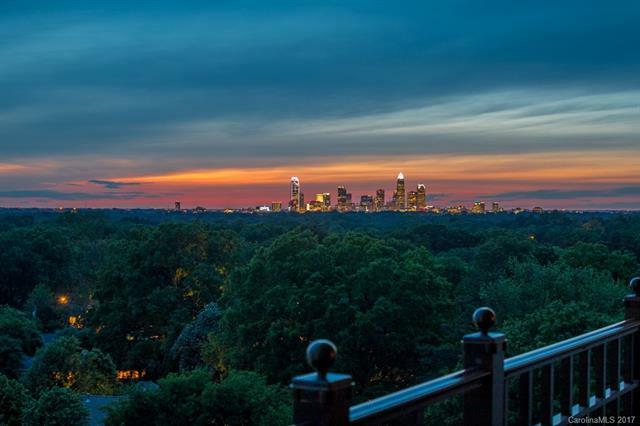 Welcome home to this ONE of a KIND AMAZING VIEW of Uptown Charlotte!! Truly a gem! Great open floor plan, tons of natural light & neutral colors throughout, beautiful wall of shelving for book lovers, two gas fireplaces, 11' ceilings, gorgeous large plank white oak flooring, beautiful wood beams, plantation shutters thru out, large patio with STUNNING views, media room. Original owner, many upgrades when built. MUST SEE in person!